Thyroid gland is vital for keeping physical and mental health sound and upbeat. This gland secretes thyroid hormones which facilitate digestion and absorption of nutrition. Under-activity of this gland means low or lesser amount of thyroid hormones which affect health negatively. This condition is also referred as hypothyroidism. Thyroid gland releases T3 and T4 hormones, lesser level of these hormones reduces cellular functions and the rate at which heart, muscles and digestive system function, whereas excessive presence of these hormones puts all these systems in overdrive. Aging is natural and it is one of the most common causes of hypothyroidism, it can also cause hyperthyroidism. Iodine deficiency is one of the most common causes of hypothyroidism. Scarcity of this chemical can cause swollen thyroid gland and reduce release of hormones. Surgeries and damages caused due to certain types of treatments like radiation therapy are also commonly known causes of hypothyroidism. Autoimmune disorder is immune system malfunction in which body’s immune system kills healthy cells along with harmful cells. This cell damage caused to thyroid gland also depletes its function and creates scarcity of T hormones in body. This too is one of the popular causes of hypothyroidism. Drug interference caused by certain types of medicines and treatments also slow down gland’s functions and reduces level of hormones. Hashimoto’s disease, idiopathic atrophy and infiltrative process are other issues which are also causes of hypothyroidism. The problem of hypothyroidism can be passed genetically too. Inherited enzyme defects are also well-known causes of hypothyroidism. Thyroiditis and therapeutic radioiodine also causes slow thyroid gland functions and lesser release of hormones. This gland functions on the instructions of pituitary gland. The pituitary gland releases TSH hormone when it senses scarcity of T3 and T4 hormones in blood. The amount of TSH released determines volume of T3 and T4 hormones to be released in blood. In many cases poor pituitary gland functions are causes of hypothyroidism. Tumours and damage caused to this gland can lead to poor functions of numerous glands in body including thyroid to cause condition of hypo or hyperthyroidism. Resistance to thyroid hormones is rare but one of the causes of hypothyroidism. In this condition, gland releases optimum amount of T hormones but due to certain unknown reasons these hormones are not absorbed by the body and their effects are minimum. Hypothalamic disease also causes poor glandular functions and can lead to hypothyroidism as well. Hypothalamus instructs pituitary gland to release TSH and in case hypothalamus is troubled or functioning poorly, scarcity of T hormones can occur in body. Thyronil capsules provide the highly beneficial herbal treatment for thyroid problems. These herbal supplements can handle underactive and over-active thyroid gland efficiently and provide long-lasting relief. 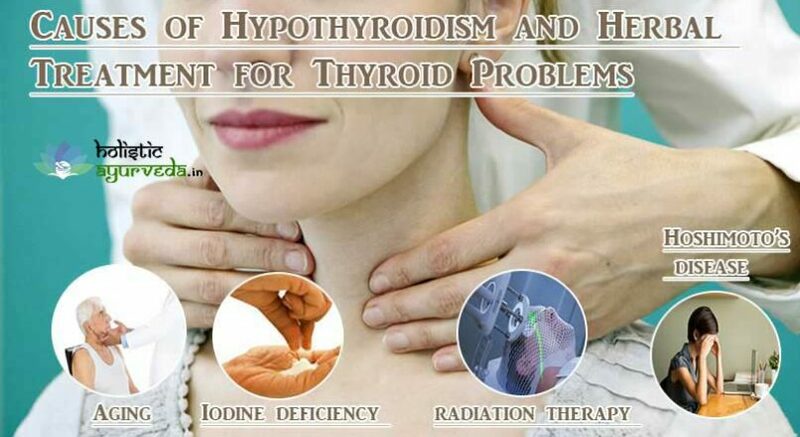 Ayurvedic remedies for hypothyroidism improve thyroid gland’s health. These possess herbs which improve hypothalamic-pituitary and thyroid axis. This axis can get disturbed due to numerous causes. Poor health of hypothalamus or pituitary gland can create scarcity of T hormones even after healthy functions of thyroid gland. Ayurvedic remedies for hypothyroidism handle this condition effectively. This herbal treatment for thyroid problems protects cells of gland from damage caused by autoimmune disorder and other disorders in body like Hashimoto’s disease. These Ayurvedic remedies for hypothyroidism supplement powerful and rich antioxidants which curb free-radical damage and protect cells from damage. These compounds also maintain supply of nutrition to gland to maintain its functions. Iodine deficiency is one of the major causes of hypothyroidism. Some of the herbs present in these Ayurvedic remedies for hypothyroidism supplement iodine and eliminate its deficiency. These herbs also reverse ill-effects of iodine deficiency and shrink back enlarged gland back to its normal size to improve its functions. Herbal treatment for thyroid problems possesses herbs which maintain healthy hormonal balance in body. Presence of harmful hormones can disturb hypothalamic-pituitary-thyroid gland axis and slow down functions of thyroid to cause hypothyroidism. 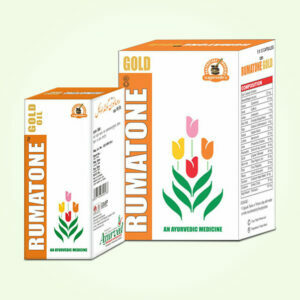 These also maintain healthy metabolic functions and protect liver and other vital organs from damage. If liver is functioning at its peak level, it maintains blood purified and free from harmful toxins and impurities. Higher presence of toxins can cause thyroid hormone resistance and also damage healthy T hormones to cause their scarcity. Poor hormonal balance, higher toxicity in blood and other disorders in body damage thyroid gland to cause hypothyroidism. Thyronil capsules provide herbal treatment for thyroid problems by alleviating all these conditions efficiently in a short time. These Ayurvedic remedies for hypothyroidism are effective protective remedies as well. People beyond age of 35 years and particularly women can use these to prevent problem from occurring and for keeping their T hormone levels healthy. People who are suffering with any disorder or have undergone surgeries which may affect thyroid functions can also use this herbal treatment for thyroid problems to stay away from hypo or hyperthyroidism. These are safe and free of side effects and can be used without any prescription. Buy Ayurvedic Thyroid Support Supplements to Treat Hypothyroidism and Hyperthyroidism Naturally.